Note Many Dedicated Buttons On Remote – Wonderful! The WR-50/50P was a snap to set up. 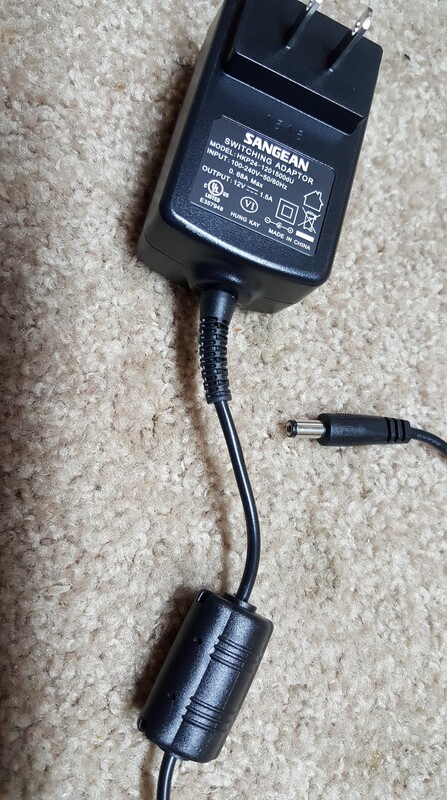 Simply plug in the supplied power adapter, extend the whip antenna, put the supplied batteries into the remote, plug in the slave speaker if you have the stereo version and away you go. The unit set its time automatically very quickly and populating the station presets was also simple and straight forward. I was instantly impressed by its big, full sound quality and with the stereo speakers the sound was excellent by table radio standards…I think it will satisfy most people looking for an upscale table radio. Even without the stereo speaker plugged in the audio was big and powerful but of course, the stereo version was that much more impressive. AM and FM reception were good too. Utilizing DSP technology the WR-50 delivers razor sharp selectivity and excellent FM sensitivity. While table radios powered by AC current generally receive more electrical noise than the best battery-powered portable radios, the WR-50 performed as well on AM as any other AC powered radio I have tried. *(See End Note) Additionally the WR-50 is Bluetooth capable so you can stream audio from any Bluetooth-enabled device. I was able to pair my Android phone quickly and without problems and again, the sound was glorious in Bluetooth mode. I especially loved the dedicated Bass and Treble Up/Down buttons on the remote. I have often lamented the way modern equipment forces you to wade through menus to access tone controls but this arrangement is every bit as convenient as the old Bass and Treble controls we used to take for granted on any decent audio equipment. Hooray for this design which is the most user friendly I have seen. I didn’t try the sub-woofer output jack but clearly this would let the WR-50 attain true wide-range capability for audiophiles so inclined to experiment and I may well try it at some point, but for now I am content with the WR-50P as the best sounding table radio I have heard. *For more information about AM reception, line noise and noise from switching power supplies the following excerpt from the Sangean HDR-18 Review discusses these concerns and details information about the AC Adapter which is the same for the HDR-18 and WR-50 – these comments therefore apply to the WR-50/50P as well. “A Noise-Free Switching Power Supply! (Note: I didn’t find this note with my WR-50 but since the same power supply is used for both radios this info would still pertain to it). 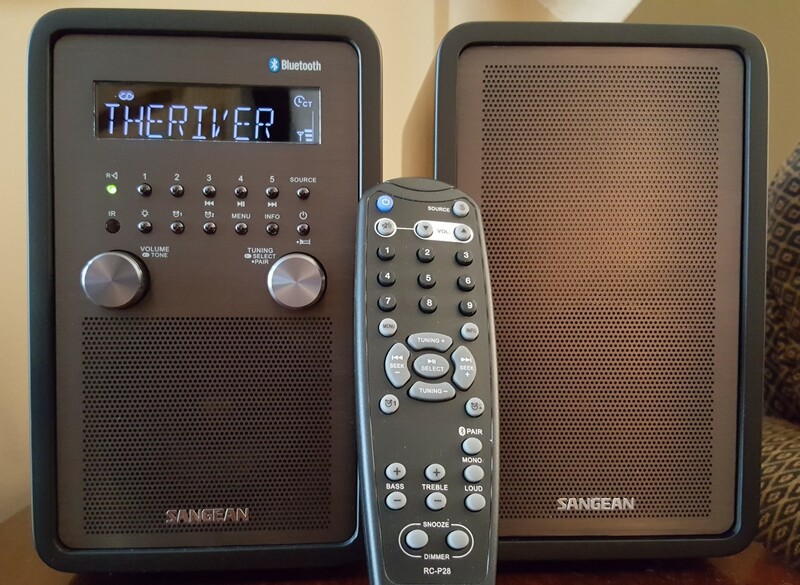 Since I have recently reviewed another new Sangean table radio, the HDR-18, it it inevitable that I should compare these two radios to see how they compare. It is also interesting (and I know I will be asked this) that neither is superior to the other. Rather, a choice between the two should be based on their features as they have very different feature sets and capabilities. In a nutshell, the HDR-18 offers HD Digital Radio (IBOC) reception, the WR-50 does not. In some geographic areas of the U.S. this opens a world of new stations to choose from and potentially better sound quality. On the other hand the WR-50 offers Bluetooth connectivity which opens a world of options for streaming audio content from your smartphone or other Bluetooth-enabled device. 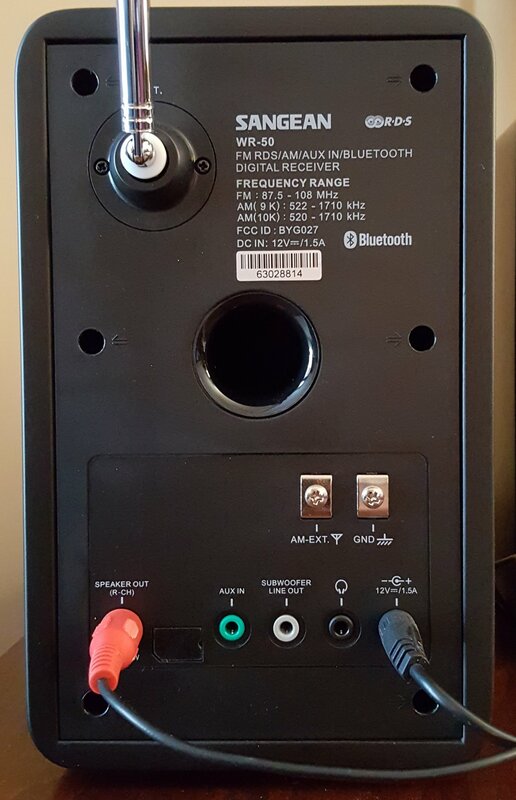 Both radios have AM external jacks but while the HDR-18 offers an external FM antenna connection the WR-50 does not. (Yes a dedicated radio enthusiast could manage to connect an external FM antenna to the WR-50 but that is probably beyond what the typical user would do). Finally the WR-50P offers true stereo sound from two speakers…the HDR-18 is a mono radio on its own but does provide Stereo Line Output and Headphone output. The WR-50 has no Line Out, only Headphone output, but does offer a sub-woofer output jack. As for AM and FM reception they are like two peas in a pod. I compared them side-by-side and found them comparable, and excellent, on both AM and FM. Both are DSP chip-equipped so that came as no surprise. And finally for sound quality, the mono WR-50 has a slightly wider apparent frequency response than the HDR-18. Don’t get me wrong…they both sound excellent for this product category (and far better than most portable radios) but they do sound different than each other. The WR-50 sounds a bit richer…it has a bit more bass and treble. Both give you lots of control with their Bass, Treble and Loudness controls but on a side by side comparison I would say the WR-50 sounds a bit “bigger”. And of course, the stereo version WR-50P adds even more power and expansiveness to the sound…it sounds really incredible. I know people will write and ask me which one is “better”. To that I will say, “Neither”. They are both superb at what they were designed to do. 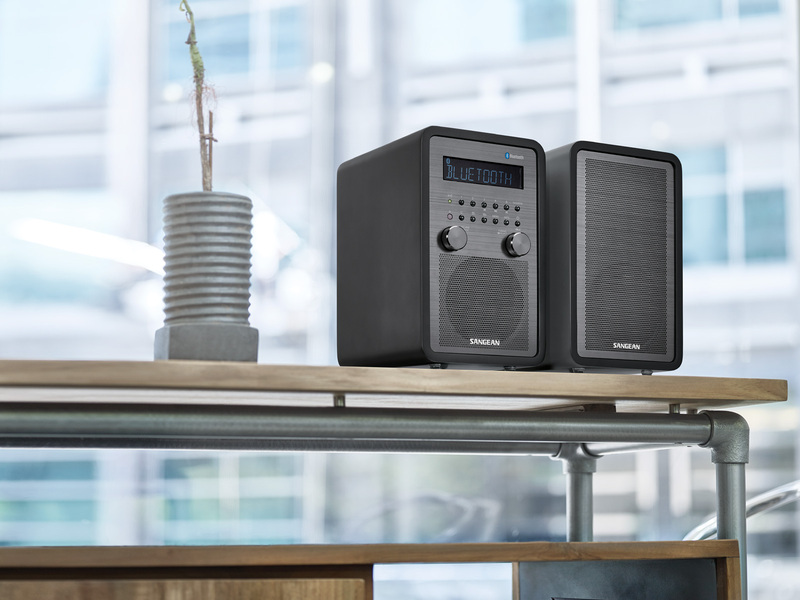 Whether you want a mono desktop companion or a stereo system for a family room, den or bedroom each of thee radios stands at the top of its product category.